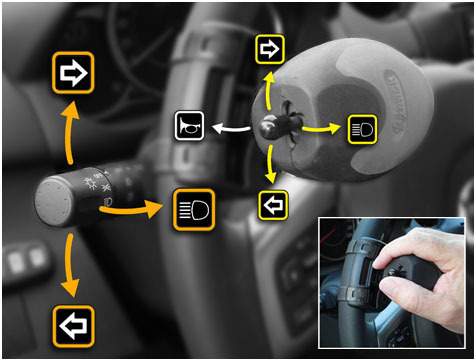 The JoySpinner(RB-33) is designed for you to easily activate Signaller’s functions by using only your thumb or finger. Like the vehicles existing electrical functions, JoySpinner (RB-33) will operate as soon as the ignition is turned on. 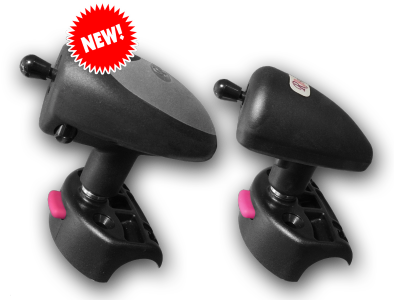 Ergonomically designed and compact in size for comfortable use, this JoySpinner (RB-33) supports up to 12 x functions using a 4x way joystick and 2x push buttons. The JoySpinner (RB-33) can easily be release from it’s quick-release bracket (BandBase) providing easy usage for multiple drivers. – Rear Wiper & Rear OR Fog lamps OR Cruise control.